Our team of highly trained physicians and healthcare practitioners have been empowering patients to transform their health since we opened our doors in 1999. Today, we are proud to be recognized by the Bravewell Collaborative as one of the leading integrative medical centers in the country. Combining the best practices of conventional medicine with the best evidence-based alternative treatments, our experienced practitioners work with you to create your personalized wellness plan—one that fits your individual needs and goals. The wellness plan your practitioners craft with you is preventive, proactive, and personalized. You can stick to it because it fits into your life. 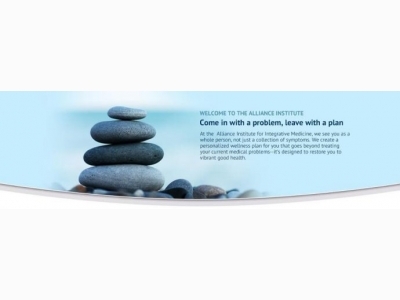 Each individual wellness plan is based on our principles of Transformational Medicine™. Our approach utilizes a combination of conventional medicine, alternative therapies, and functional medicine. We are interested in a healing approach that looks at the underlying causes of disease. We use a systems-oriented approach that includes a thorough diagnosis and treatment plan that looks at your health as a whole in the larger context of your life. Our physicians and healthcare providers work with you in a therapeutic partnership and view your health issue(s) as a transformational opportunity. Our approach helps you take charge of your health. It helps you treat your current problems, heal your old ones, and prevent future ones. What’s more, it promotes vitality and may even prolong your life. Our Vision, Mission and Core Values Our medical doctors and healthcare practitioners are passionate about their work. Our vision, mission, and core values guide us as we strive to deliver the best possible care to our patients. Our Vision To help all our patients get well and stay well. Our Mission We view wellness as much more than just a state of physical health. It also encompasses emotional stability, clear thinking, the ability to love, create, embrace change, exercise intuition, and experience a continuing sense of spirituality. Our mission is for all who enter our doors to take one step closer to this state of vibrant health and well-being. We tailor your individual transformational plan by combining the best practices of conventional and alternative therapies. Our Core Values • Always treating our patients with respect • Creating a nurturing environment • Listening deeply • Consistently delivering valuable service • Constantly striving to be better • Keeping abreast of innovations • Incorporating proven new treatments • Working together as a team • Loving what we do • Never giving up We serve the communities of Indian Hill, Hyde Park, Loveland, Westchester/Liberty Township and Mason. 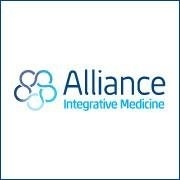 Alliance Integrative Medicine - Lisa Gallagher, N.D.
Are you looking for an alternative integrative approach to health? Combining the very best of conventional medicine, cutting-edge diagnosis and treatment, and holistic alternative therapies like acupuncture we work in partnership with you to help achieve your highest potential for wellness, regardless of your current state of health. Our physician-led teams of compassionate healers use a multidisciplinary approach in order to restore your health on all levels – body, mind and spirit.